Please check whether you have set the configuration attribute "enableRotation" to "1" in the chart dataSource. .... But now i have another problem. After "Loading chart..." message a white screen (white background) appear...with old version there is no white screen. 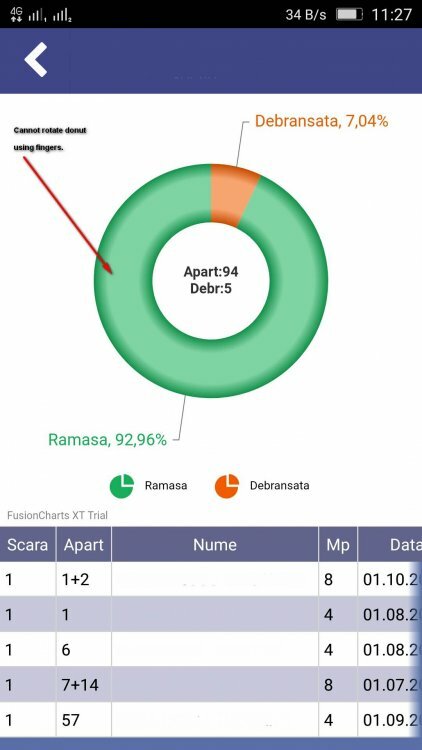 It is the default background color(white) of the container div element that is seen before the chart loads on the div. Please check the below sample with the background of the div set to a different color. This will not show the white div background of the div while loading the chart, as the div background color is set and the chart background is made transparent.